Just When Do You Panic? 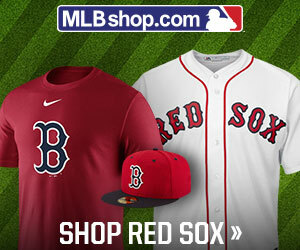 NEW YORK – Red Sox fans, just when do you hit the panic button? The 4th of July? No, that’s too late. They might be too far gone. Or, maybe tonight, or tomorrow morning? Consider the facts, first: Sox ace Chris Sale is (0-4) with an ERA of 8.50 in 18 innings. Former Cy Young award winner Rick Porcello is (0-3) with an 11.12 ERA over 11.1 innings pitched and Nathan Eovaldi, who signed a nice deal to remain in Boston just before Christmas, is (0-0) in three starts with an 8.40 ERA. That’s an 0-fer-10 outings from the core starters, aside from David Price who is (1-1) in his three starts with a respectable 3.70 ERA. No worries, MVP Mookie Betts will save the day. Betts and the Sox will awake in the “212” this morning with their star batting, yep, you guessed it, .212 – with 14 strike-outs in his 66 plate appearances, or one less than club leaders in Ks, first baseman Mitch Moreland (15) and OF Jackie Bradley, Jr. (15). The club’s OPS might soon read OOPS. If they keep this up, Dave Dombrowski might get the urge to call Bobby Valentine, Jon Lester, Josh Beckett and John Lackey and order up some fried chicken over at Popeye’s. Fear not, Sox faithful. With their current record of (6-12), all things will be fixed if the club wins its next 22 in a row to equal their May 13, 2018 record of the ungodly (28-12) which forecasted the even more ungodly season-ending mark of (108-54). Surely there will be excuses made. Isn’t that the American way? There’s nothing like an 11-game road trip to open-up a Major League Baseball season. Crap, NCAA March Madness went from 68 teams to one in the time the Red Sox left Little Fenway in Ft. Myers to Opening Day at (Real) Fenway. What are the rest of the storied cliche excuses uttered at breakfast by champions? Touch of the flu or a stomach bug in the clubhouse? Working (Dustin) Pedroia back into the lineup? Since the 2019 reenactment of the Battles of Lexington and Concord, the Red Sox have managed one run on seven hits (one run on four hits Monday and three hits last night in the Bronx). Recently extended SS Xander Bogaerts and Betts occupied 2nd and 3rd in the 4th inning last night but that was as far as the Red Sox could get against James Paxton and the Yanks. Seven hits in two games? Fictitiously, Tony Soprano averaged twice that over the same span of time. Hell, Yale is only two wins shy of the Fenway home Sox since the 2018 World Series parade. The last time the Sox started this slowly, Bill Clinton was running against Bob Dole. Setting the old excuses aside, the issues with the Red Sox this Spring are more about wild pitches, passed balls, fielding errors, pitch locations, and a failure to execute and communicate. It’s gotten so bad, the next thing you’ll know is they’ll blame it all on Blake Swihart. Taking it all in, any baseball lifer worth his weight in sunflower seeds will preach patience and caution not to overreact. Slow starts can happen to the best of ’em. No question there, so we’ll stay on that viewpoint for another 30 days or so. If there is one thing you CAN take for granted, it’s the fact M.V.P(erson) Alex Cora is the man you want at the controls in good times and in bad. Cora has the experience as a player to know just when to push the right buttons and he’s surely analyzing them as we type. Fans and media? Not so much, so we’re placing our orders for the very best panic buttons available. Whenever you decide to do the same, just CLICK HERE.